Hello. 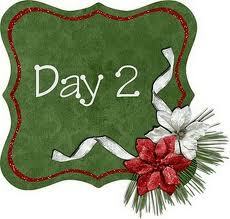 Welcome to our second day! In the U.S. we set our clocks ahead, and in real “time” we lose an hour. Since childhood, I have always wondered where it went. We rely on our timepieces to regularly record and report the passing of “time” and yet on this one day most of us just push it forward. I believe our universal agreement to do this – to manually adjust something so seemingly rock solid as “time”, only stands as evidence that we are collectively making this all up. This is a dream. It will go as we say it goes. As a group we’ve learned similar, if not identical lessons around worth and worthiness. Underneath many of them is the notion that we must do something before we are good enough to receive something. We would call that something approval or acceptance or both. In my head, these words sort of morphed into love. I believed that if I did the right things, looked the right way, obeyed and performed when expected to, I would be loved. I somehow internalized the idea that you loved me when you were pleased with me and you didn’t love me when you weren’t. I also linked those ideas with attention so that my earliest decisions around love were that when you gave me “positive” attention you loved me and when you gave me “negative” or no attention, you didn’t. Perhaps your thoughts have been similar. My life became a series of actions designed in some part to get you to love me. I became a public servant. It is not wrong to serve the people, yet when that service becomes necessary for validation, it is counter-productive. I am still a public servant, yet the difference is I always feel loved. I have learned that even when you are angry or yelling or unaware of me, you love me. How I got here was a gradual process of noticing, accepting and absorbing the judgmental and non-loving parts of me that were not making me happy. I do that still, as there are many. The way to find out what is stopping you from feeling loved is to find something that makes you feel bad. Just one thing at first; a repetitive thing. What is that emotion that you recognize as “you”? When it rises up in you, is it familiar? You can feel it coursing through you as the heroin addict feels the drug travel through his veins after it is injected. This is your addiction. It is as powerfully addicting as heroin, make no mistake. Mine is sad. It is another word for fear. Fear, as the opposite of love, has many names; anxious, jealous, tired, sick, angry, hurt, mad, frustrated, lonely, failure, wrong, bad, rejected, worthless, disappointed, weak, depressed, hate, angry, overwhelmed or unhappy. Anything that is not love is fear. In a sense, all of our addictions, the ones that stop us from loving, are the same. We have learned to be afraid. This Quest is not the place to root out how or why this has happened. This Quest is a way to discover and release it. When you find your addiction, don’t reject it. It is you. It is a part of you that you’ve carried all these years for protection. Lovingly accept it. I have a process that goes like this. When I have fallen into sadness, I first have to notice it is happening. It is so familiar that this is a tricky part. I don’t see it right away as it has many disguises. Once I am able to see through them to sad, I conjure up a very clear image. It is me, as I look right now, in some state of miserable, of sad. Next I visualize a powerful and happy me – usually dressed in an awesome outfit, strong and sure and joyful, and I approach “miserable me”. I take her by the hands and look into her eyes and say – “I love you. This is not who I am anymore, I am love now.” Then I hug her and as I do, she slowly becomes less and less dense, gradually dissolves and is absorbed into me, the me I am now (in the awesome outfit ;). This sometimes takes a very long time. I take her into me because she is the precious beginning of who I am today. Today, you are love. Today, the thing that has blocked you from seeing that love is every bit is imaginary as “time”. You can move ahead as easily as you move your clocks. It is not that you have lost this part of you; it is that on this day, you’ve moved ahead. It serves you now to operate with a new system, and fear does not work in this new “you”. You may feel as if you lost something, and as it is an addiction, habit will try to replace it again and again. Don’t be fooled. The fear you’ve grown used to, is as arbitrary as time and you know that now. Accept only love. In the construct of you, include one basic ingredient. It has many forms, shapes, sizes and sounds yet only one feeling – good. When you feel good you’ve effectively moved into love. You are only love. Everything else is just a way for you to see clearly; a backdrop of black so that your light can be sharp and clear and white and in focus. You are okay. No performance or appearance is necessary for love to happen. Love is here. It is you. As we move our clocks ahead and leave winter and darkness, let’s move into lightness of being. Smile. It’s a new day and you’ve come to play. We are at your door, knocking, laughing and asking you to join us. You don’t need to change anything, we know who you are and we love you, no conditions. So leave behind your reasons to say “no” and say “yes”. We are waiting. I love you. It is great to see you here! Thank you for showing up.